THE STANDARDS IN Public Office Commission (Sipo) has found against two county councillors over alleged contraventions of the Ethics in Public Office Act 1995. Sipo today published two separate reports following investigation hearings into the conduct of Sligo County Councillor Joe Queenan and Donegal County Councillor John O’Donnell. The investigations were conducted on 10 September 2018 and 11 September 2018, respectively. The Commission has found against Councillor Queenan in respect of three of the four alleged contraventions. The Commission has also found against Councillor O’Donnell in respect of all three of the alleged contraventions. The report said that the Commission is satisfied, on the evidence before it, that Councillor O’Donnell contravened section 168 of the Local Government Act by failing to maintain proper standards of integrity, conduct and concern for the public interest by meeting with a representative of a fictitious UK investment company interested in developing wind farms in Co Donegal, in respect of which the company was looking for information and assistance in dealing with issues such as planning permission and local opposition. It said O’Donnell offered to provide assistance in return for financial reward. The Commission is satisfied on the balance of probabilities that the contravention was committed intentionally and that it was, in all the circumstances, a serious matter. Sipo is also satisfied that O’Donnell contravened section 170 of the Local Government Act by seeking assurances of payment and indicating a willingness to provide assistance to the company as a member of the local authority in return for payment. Thirdly, the Commission is satisfied that O’Donnell contravened section 169(3) of the Local Government Act by failing to have regard to and be guided by the Code of Conduct for councillors by indicating a willingness to provide assistance with local landowners and with the planning application in the local authority on behalf of the company in return for financial reward. The Commission finds that Councillor O’Donnell did not act in good faith when he intentionally engaged in conduct in contravention of various provisions of the Code of Conduct for Councillors. In relation to Councillor Queenen, the Commission said it is satisfied that he contravened the provisions of Section 168 of the Local Government Act, 2001 by failing to maintain proper standards of integrity, conduct and concern for the public interest. It said this was done by Queenen meeting with a representative of a fictitious UK investment company interested in developing wind farms in Co Sligo, in respect of which the company was looking for information and assistance in dealing with issues such as planning permission and local opposition. The report said Queenen offered to provide assistance in return for financial reward. Sipo said it is not satisfied that Queenen contravened Section 170 of the Local Government Act by seeking assurances of payment and indicating a willingness to provide assistance to the company as a member of the local authority in return for payment. The Commission is also of the opinion that there is no evidence to demonstrate that the complaint made was frivolous or vexatious or that there were no reasonable grounds for it. 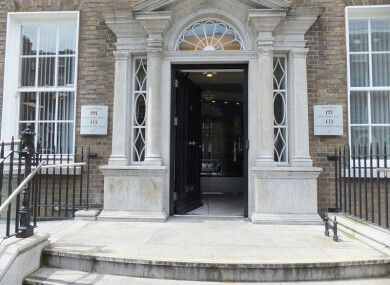 Thirdly, Sipo said it is satisfied that Queenen contravened section 169(3) of the Local Government Act by failing to have regard to and be guided by the Code of Conduct for Councillors by indicating a willingness to provide assistance with local landowners and with the planning application in the local authority on behalf of the company in return for financial reward. Finally, the Commission said it is satisfied that Queenen contravened section 171 of the Local Government Act by failing in the Annual Declaration form prepared and furnished by him to the Ethics Registrar of Sligo County Council for the year 2014 to set out full particulars of him declarable interests within the meaning of Section 175 of the Local Government Act 2001. Sipo has furnished copies of its reports to both councillors, the Cathaoirleach and Chief Executive of each council and the Minister for Public Expenditure and Reform. The investigation reports, together with full details of Sipo’s findings and determinations can be found here. Email “Sipo finds against two councillors over contraventions of the Ethics in Public Office Act”. Feedback on “Sipo finds against two councillors over contraventions of the Ethics in Public Office Act”.